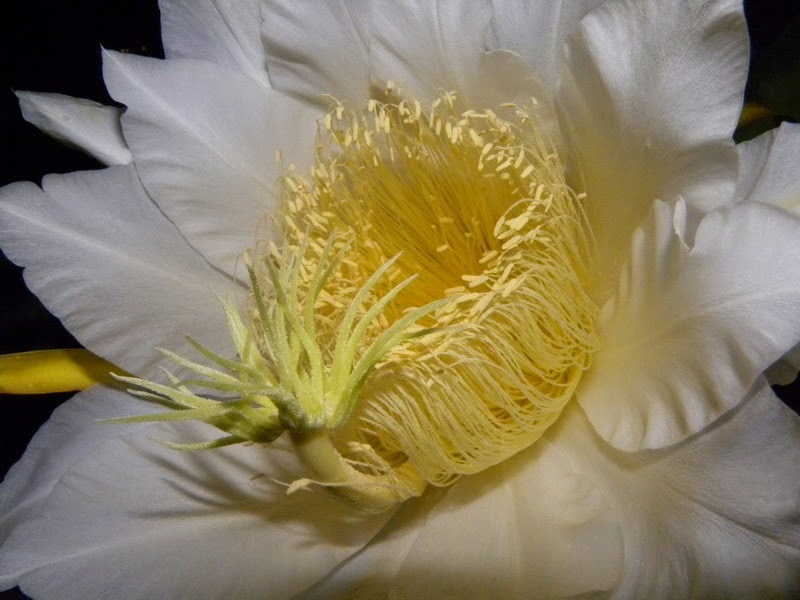 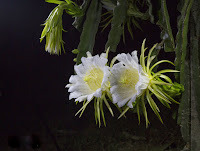 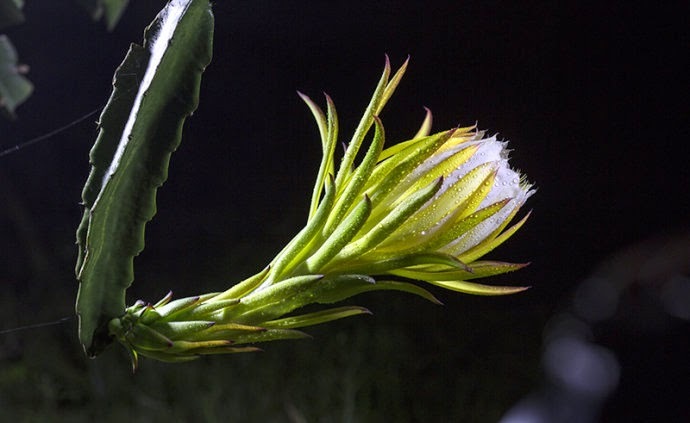 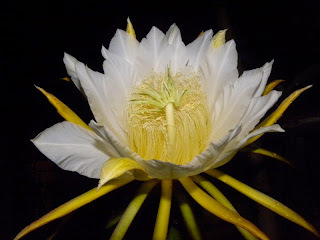 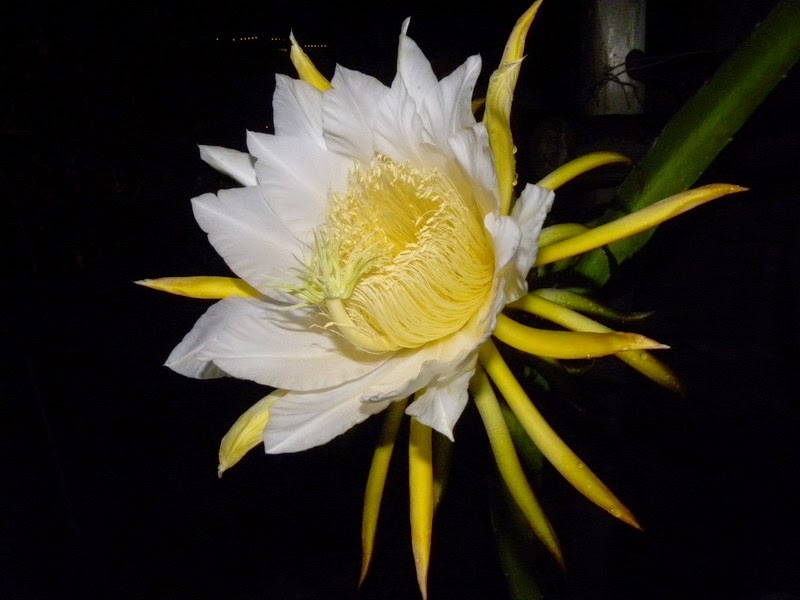 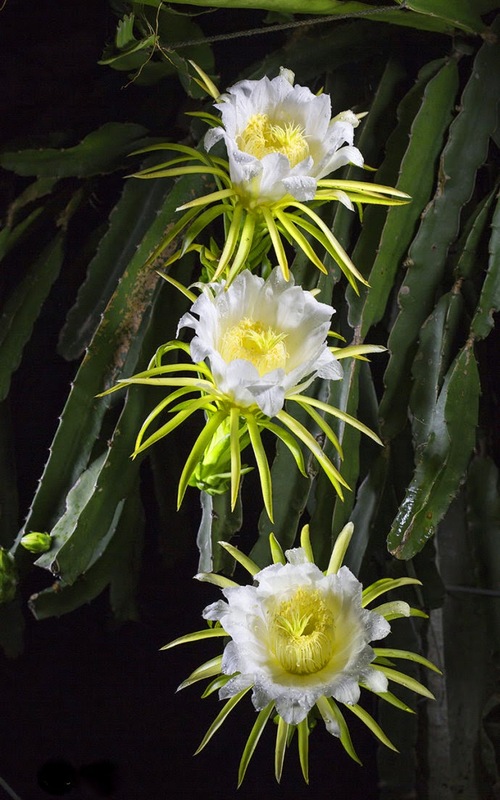 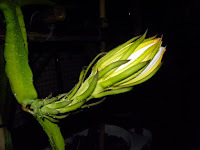 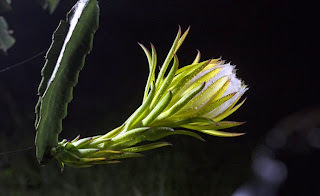 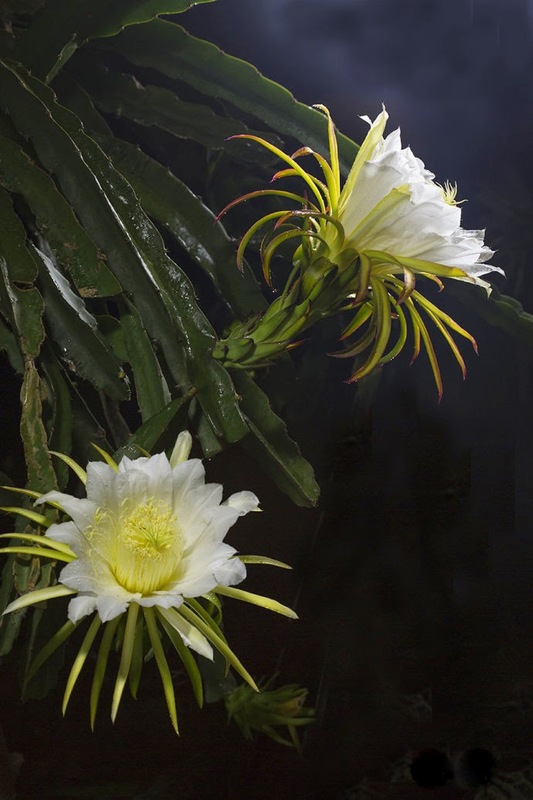 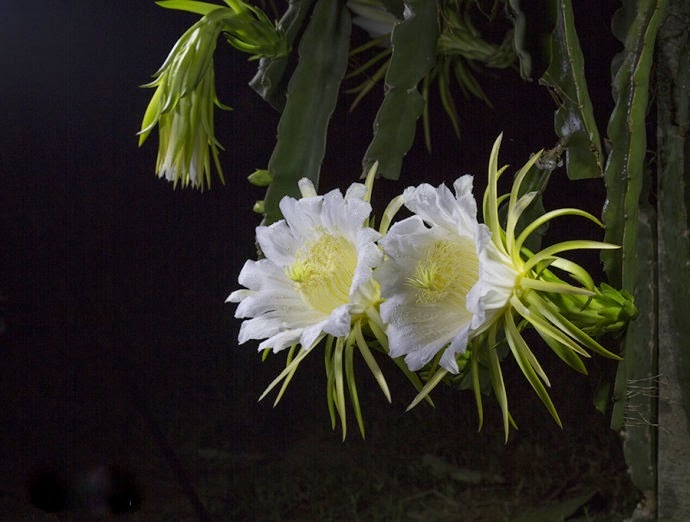 The flowers of the dragon fruit plant usually bloom for one night only. Pollination must happen at this time for the fruit to emerge. 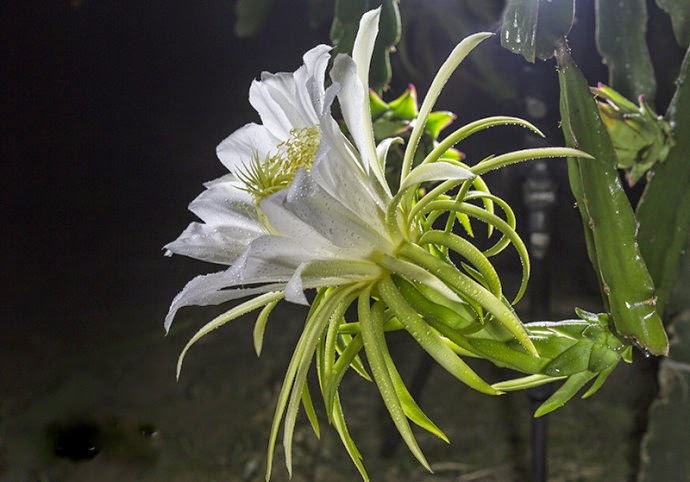 The flower is as exotic as the fruit! 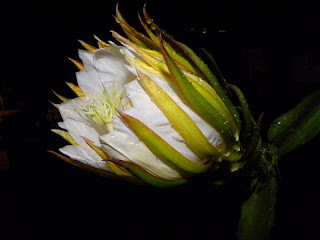 I have never seen a dragon fruit flower before.